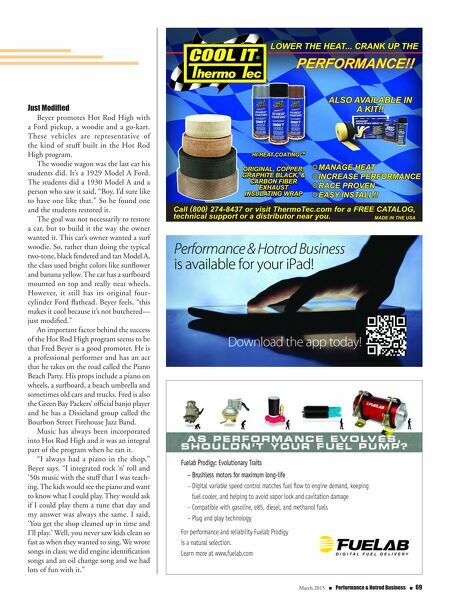 HOTROD 68 n Performance & Hotrod Business n March 2015 Beyer's passion for hot rods and antique cars is reflected by his own car collection. A Hot Rod High student uses a sanding block to level the contours of a woodie station wagon. The Hot Rod High program attracts interest from female students as well as males. 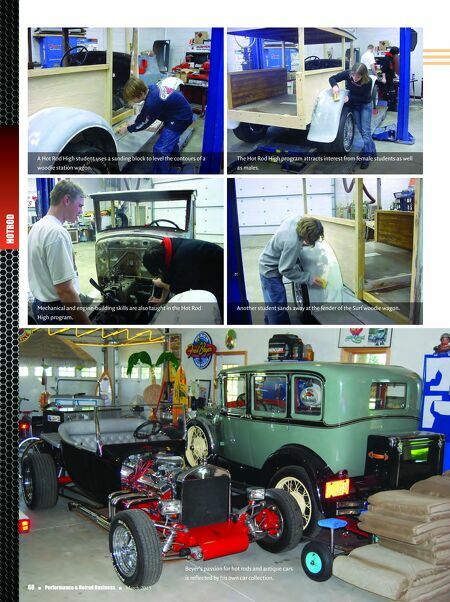 Mechanical and engine-building skills are also taught in the Hot Rod High program. Another student sands away at the fender of the Surf woodie wagon.